Wellspring Consulting is an independent wealth management firm located in the Silicon Valley/San Francisco Bay Area. 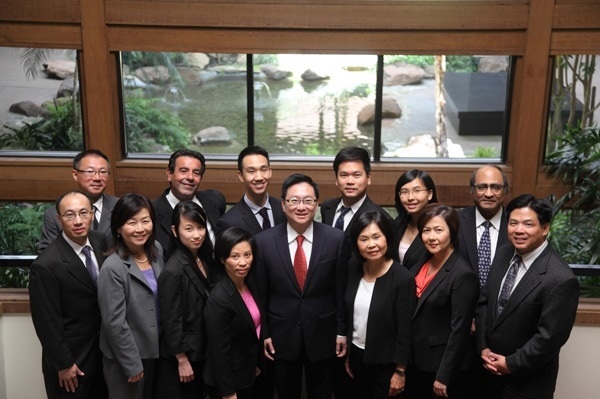 In 1996, Reuben K. Chen, founded the firm with the goal to build a reputable professional firm that provides advice and financial planning accessible to families and individuals of different wealth levels. At Wellspring, we believe financial planning is a lifetime process that requires a unique plan for your specific needs. That’s why we take the time to know you personally. Your life goals, your concerns, your priorities, and your dreams are important to us. We work closely with you to develop and manage your financial plan by optimizing solutions to help meet all your financial needs. We are committed to serve our clients as they transition through various stages in life. Our advisor team consists of different age groups, including 20-year veterans with extensive experience and mid-career advisors with maturity and knowledge. With this diverse team of advisors, we have the depth and breadth of experience to guide you at every step in your journey through life. We believe our integrated team approach and creative strategies tailored to your changing needs can guide you to realize your life goals and secure your financial future. If you are seeking a long-term trustworthy partner who is committed to help you achieve your dreams, we invite you to contact us today. At Wellspring, you are served by our caring and experienced financial planning team members. Our financial advisors are committed to providing professional services with the highest integrity. That is, we remain objective in order to act on behalf of your best interests. Our independence helps ensure that you receive financial solutions that are consistent with your goals, needs, and priorities. Business advisory service and philanthropic decision-making. This broad expertise allows our financial advisors to deliver advice that has your long-term goals and big picture in mind.